Ray-Ban® 'Caravan' sunglasses. The Ray-Ban legend is firmly engrained into the fabric of fashion history. 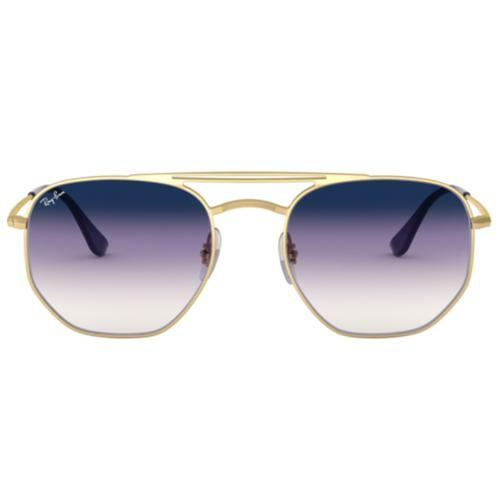 These stylish and iconic Retro 'Caravan' sunglasses are one of the illustrious designs that have helped make Ray-Ban the most famous name in sunglasses. First introduced in 1957, the exquisite square lens and frame of the 'Caravan' was designed as an alternative to the iconic Ray-Ban teardrop 'Aviator' style. Ray-Ban sunglasses have revolutionised eyewear since the Thirties. During the the Sixties Ray-Ban truly became synonymous with celebrity and music culture. Adopted by sub cultures far and wide from Mods to Casuals and Rockers to Punks, Ray-Ban is now a key part of the contemporary Indie fashionistas look. 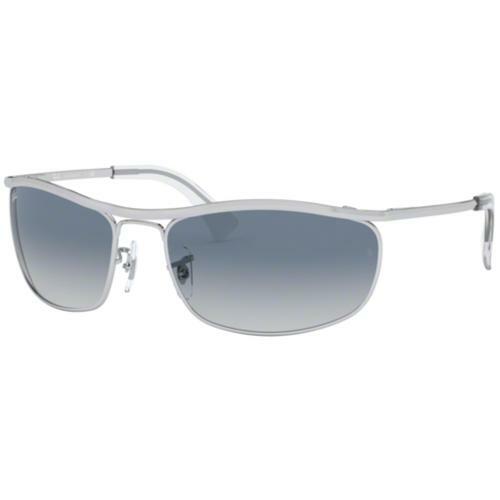 - Iconic Sunglasses that represent the very best in UV protection and technology. Accessorise your Mod and Retro Clothing in style - Wear Ray-Ban Caravan's! 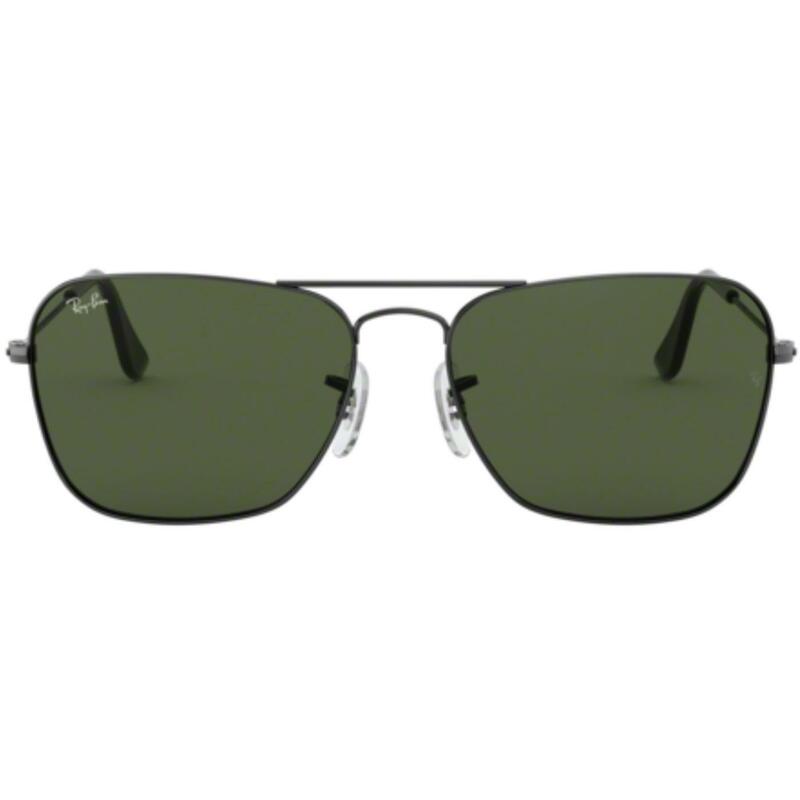 Ray-Ban 'Caravan' Retro Sunglasses with a cool gunmetal frame and iconic green tinted G-15 lens [What's this?]. Designed as an alternative to the hugely popular 'Aviator', the 'Caravan' was originally launched in 1957 and saw the teardrop Aviator design replaced with an awesome square lens and frame. An iconic Vintage Seventies look with undoubted Retro credentials and featuring 100% UV protection. A Retro style that has proved popular in both Mod fashion and Indie culture. 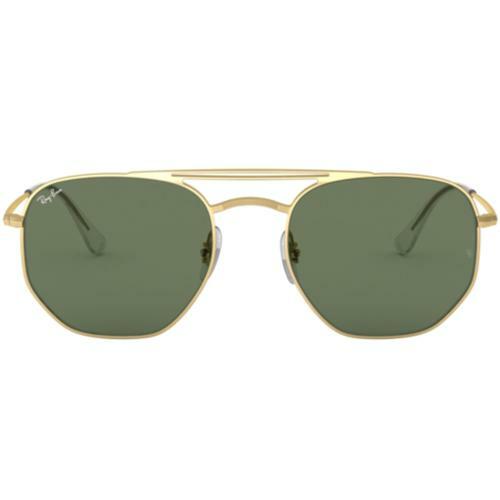 Timeless and iconic and full of Ray-Ban heritage, the 'Caravan' has a contemporary Indie flair and a cosmopolitan edge that makes it a design classic - As worn by Tom Cruise, Dave Grohl, Julia Roberts, Jared Leto and Robert de Niro in Taxi Driver. A name inspired by touring and travel - you'll sure be going places in a pair of these Ray-Ban 'Caravans'. An inspirational Retro accessory and the ultimate in Sunglasses Technology - The Ray-Ban 'Caravan'. 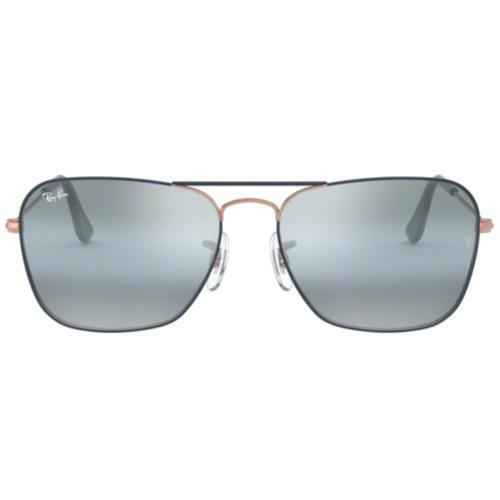 The iconic Ray-Ban Caravan Sunglasses take inspiration from the legendary Aviator by Ray-Ban. Taking their own original Aviator style and adding a squared and slightly smaller lens and frame, the 'Caravan' is a design spectacular in it's own right. Originally developed in 1957, the Ray-Ban 'Caravan' is a true Retro legend that incorporates both Sixties Mod and Seventies charm, but at the same time boasts an amazing Indie look. Vintage styling by Ray-Ban.